Updated Friday May 18, 2018 by Zach Spitzer. Mountain Lakes Rowing Club competed at the Mid-Atlantic Regional regatta this past weekend. This is the team's chance to qualify boats to go to Youth Nationals that is being held in California! 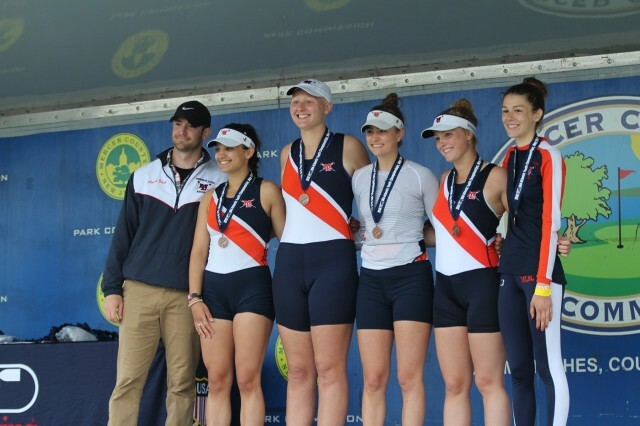 Against the best competition in the region, the team was able to earn three bids to Nationals in the Girls Lightweight Four, Girls Varsity Four and Girls Varsity Pair and after the regatta we were informed that the Boys Lightweight Eight gained a bid as well, moving up to 3rd! The rest of the crews raced hard and came away with good results!